Bangladesh coach Dav Whatmore was a fuming after watching his boys stoop to defeat in yet another match and another series, which if they had applied themselves properly, could have gone their way. In short, this has been the story with the Tigers ever since the Sri-Lankan born Australian took over in mid 2003. They fight hard, scare the hell out of illustrious teams, get into winning positions and then they lose. This is exasperating enough for the cricket loving millions in Bangladesh and no one is hurting more than Whatmore as was evident when he spoke his heart out to The Daily Star Reporter Rabeed Imam after the seven-wicket loss to the West Indies at Queens Park on Wednesday. Question (Q): What is you assessment of the one-day series? 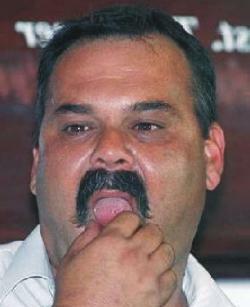 Dav Whatmore (DW): The people here I think have now understood that Bangladesh are not a team to be taken lightly. But quite personally, I'm sick of losing matches that we can win and the players were told that. That's not to say that there weren't any positives. In fact, there were some good positives to come out of the series. But the fact remains played three, lost three. That's the cold hard fact. Q: Do you think it's still a case of the mental block that they can't get over the habit of losing? DW: Well, there's still an obstacle that's stopping the team as a whole from crossing over that line. As I have said in matches where I honestly feel the team is good enough to win, I'm sick of it. I don't want to be involved with people who continuously fall short of the mark. And we need to have a good long think about this because this can't continue. I'll accept it if you are playing an extremely good opposition who are playing well and you get soundly beaten. But we've pushed this opposition. We've pushed them all the way and we were clearly good enough to have jumped that extra hurdle and win the match. But there's something stopping them. So what is the reason for this? Sometimes I feel they are too used to losing. 'Well played Bangladesh' but you still lose. Q: Do you feel the players are satisfied with just playing well? DW: You can't blame me if I think that way. I don't think anybody can be blamed sitting from the boundary watching this. Q: So has the time come to get rid of those who in your words still fall short of the mark? DW: I'm not suggesting that. It may be the case but that is something for the selectors to discuss thoroughly and to come up with an answer. But I'm commenting what I see here and it's an awful feeling. Q: You think a proven psychologist like Dr. Rudy Webster or someone like him can help in clearing the mental block we were talking about? DW: Mental skill experts are good. But you have to get the right person for our culture. Got to get the right one for India, Pakistan, Bangladesh, Sri, Lanka because we are a bit different. So you have to be careful who you get. We will explore that avenue but a lot of these problems can be fixed if you use your brain and think, think and think. Some of them need to think about it. Q: How have you found the cricketing intelligence of Bangladeshi players compared to other teams? DW: Well, you got to learn quickly otherwise you'll be left out. I found it out myself. I made a nought and 8 in my first Sheffield Shield game and realised I had to do something otherwise I'd lose my place in the side. It was my dream to play Sheffield Shield and play for Australia and it was something I went to bed with. You have to think and use your brain to do well in the middle. That's all I can tell you. That's the same process in international cricket. And why not our players? Every other bloody team and their players get a share of winning. Why not Bangladesh? Q: In your team, what is the percentage of players who are doing the things right? DW: A small percentage. I don't want to name any players but there is potential. However, potential is a very used word if you know what I mean. You can keep saying that for the next 12 months but that won't translate into victories unless you use your brain and think situations and work and work and work. You see things don't come easy in international cricket. First-class cricket doesn't come easy. You have to work at it and you have to have a real desire to achieve it. You have to have personal targets, otherwise it's not going to work. Q: You think our weak first-class structure is to blame for the lacklustre showing? DW: That's the easy answer and I don't necessarily agree with that. A lot of these fellows have been around a bit now to understand what the hell they should be doing to get better and that's what it is all about. There is evidence that we are heading in the right direction. We all know that Bangladesh have taken teams into the fourth day. We nearly got a victory in Multan. It's easy to keep saying that but we need to step up a gear and there's no short cut to there. The opposition is not going to give you that ability. You have to drive it. You have to take responsibility. Q: Yet again the bowlers kept Bangladesh in the hunt in this series as they have been doing consistently over the past year or so. On the other hand, the batsmen received assistance from specialist batting coaches. You yourself have been a Test batsman but the batting has left a lot to be desired. So is it easier to coach the bowlers than the batsmen? DW: When it comes to bowling, it's a bit different. In batting you make one mistake and you are gone. What Owen Mattau saw was in the technical area and it will get better. That's needed as well because now the boys are hitting hundred more balls than what they would have done in the past. So that's nicely in place. That will translate into scores if there is a corresponding real effort here (pointing to his head). What Owen is doing is technical and physiological but not psychological. The answer to the other part of your question is that it's a bit easier to coach bowlers in the sense that we agree on an area where they will have to keep repeating their deliveries. Statistically it's easier to show the boys that if you keep bowling enough balls in this area and you're gonna get the wicket. That's basically what they have been doing. So we've seen a greater improvement in that phase of the game than the batting. Q: Is there going to be a change in approach in your coaching after this series? DW: I think it's going to reflect a lot more on a bit of hard work because I can see a direct co-relation between when things get tough and tight in the middle to what happens out in the nets. But we are going to turn the tap a little bit on what is required in terms of our training, the frequency and intensity of it once we recommence probably two or three days after the 12th of June when we return. Q: Are you still relishing the challenge of coaching Bangladesh? DW: You can feel a bit of passion coming out. You can sense that my heart is pouring out. If I didn't have that, than I wouldn't have had the drive. It's still there, it's still burning. My reputation is on the line here. So I want to do something and it has to start with another victory. There is no time…well, there is time. But depending on the opposition and a real honest assessment on how Bangladesh should go against any opposition you are playing, if the answer is 'look, Bangladesh have a good chance,' then we got to turn and get that victory. Otherwise I'll get that sick feeling and get angry again. Q: What do you think of Faisal Hossain's debut? DW: I'm very pleased for him. I think he had a finger on the pulse. He could read the tempo of the game. 17 off 16 balls might not be the greatest debut but considering the context of the game, I think he handled the situation very well. He had waited his chance and I'm very pleased. There were some positive comments about him from some other people too.